This designation may include payment for damage to property or facilities, payments for damage to property or person of a member of the University community and repayment of misappropriated or misused funds. Disciplinary probation is for a period of fixed duration during which the fitness of a student to continue at the University is evaluated. Disciplinary probation serves as a warning to the student that future violations of this policy and regulation may result in more serious sanctions, including suspension or dismissal. Disciplinary suspension is the temporary separation of a student from the University. Disciplinary dismissal is the permanent separation of a student from the University. Summary disciplinary dismissal is the immediate separation of a student from the University and is authorized by the President/designee when the continued presence of the student at the University constitutes a danger to the health, safety or welfare of the University community. At the time a student is summarily dismissed, the student shall be informed of his or her right to a hearing. Such hearing shall be held without undue delay, and the student shall remain dismissed until the hearing determines the student’s status. Sanctions of suspension, dismissal and any sanction resulting from an act of academic dishonesty will be recorded on the student’s official University transcript. Other sanctions will be recorded in the student’s discipline file, which will be retained by the hearing officer for a period of five years. With the exception of cases of academic dishonesty, records of disciplinary probation will be retained for one year after the conclusion of the probationary period. One of the certifications now required for the receipt of federal grants and funds is a formal statement from the grantee that it has adopted a policy and implemented a program that prevents the illicit possession, use or distribution of drugs and alcohol by students and employees of the institution. Further, the grantee must maintain evidence that it is in compliance with all sections of the relevant federal regulations. In compliance with this federal requirement, Harris-Stowe State University has established the written drug/alcohol prevention program described herein. This written program will be distributed at least annually to each employee of the University and to each student who is taking one or more classes for any type of academic credit, regardless of the length of the student’s program of study. The following is the University’s official statement of the Standards of Conduct expected of its students and employees and the University’s commitment to, and action toward, ensuring a drug-free and alcohol-free and campus. Below are summaries of sanctions provided in local, state and federal laws against the unlawful possession, use and distribution of illicit drugs and alcohol. Sanctions imposed by local laws consist of ordinances of the City of St. Louis, which prohibit the sale of alcohol to minors, the operation of an automobile while under the influence of alcohol, public drunkenness and similar offenses. These offenses are misdemeanors, punishable by fines and imprisonment. Fines may be as high as $500, and imprisonment may be for as long as one year. After one prior drug conviction: at least 15 days in prison must be served, not to exceed one year and a fine of at least $2,500 but not more than $250,000 or both. All members of the University community are urged to report to the Office of Human Resources any firsthand knowledge of the (a) possession, (b) use, or (c) distribution of a controlled substance on campus or at any location at which the University is conducting a program or event. The University will vigorously enforce the Standards of Conduct established herein in a fair and consistent manner. Penalties for violation of these Standards of Conduct are listed below. The Office of Counseling Services will provide referral services and programs offered through that office and also through various community agencies. Persons who successfully complete rehabilitation programs are eligible for consideration for re-employment on the University campus. Hazing is an intentional action taken toward any student on or off campus by a student organization or any of its members to produce public humiliation, physical discomfort, bodily injury or public ridicule. Hazing also constitutes as creating a situation where public humiliation, physical discomfort, bodily injury or public ridicule occurs. Psychological hazing, which is defined as any act which is likely to (a) compromise the dignity of a member or pledge, (b) cause embarrassment or shame to a member or pledge, (c) cause a member or pledge to be the object of malicious amusement or ridicule or (d) cause psychological harm or substantial emotional strain. 1. Upon written notice of an alleged violation of this policy and regulation, disciplinary proceedings shall be instituted by a hearing officer by the issuance of notice of charges. The written notice of complaint may be initiated by faculty, staff and students or through a campus police summons. 2. The notice of charges and all other written notices shall be delivered by the method deemed most effective by the hearing officer to the student’s or organization’s address, as it then appears on the official records of the University. If the address is not current, other reasonable attempts will be made to deliver the notice. The notice shall include the portion of the policy and regulation allegedly violated, the reported circumstances of the alleged violation and a request that the student appear at a specified time, date and place for a hearing. A copy of the notice of charges may be sent to the student’s parents/guardians if the student is a dependent as defined in Section 152 of the Internal Revenue Code of 1954. 3. If the notice of charges requests an appearance at a hearing and if a student fails or refuses to appear, the hearing officer may, after such investigation that is deemed sufficient, dismiss the charges, take administrative action or impose a disciplinary penalty. Requests for continuance must be timely and made by the student in writing to the hearing officer who may reschedule the hearing if the request is timely and for good cause. If the hearing officer takes administrative action, the accused student or organization shall be notified in writing of such action and such action shall not be subject to further hearing or appeal. If the hearing officer imposes a disciplinary sanction, the student or organization representative shall be notified in writing of such action. Appeals of disciplinary sanctions imposed at a hearing, held in the absence of the accused student or organizational representative, shall follow the procedures outlined in these regulations. 4. When an accused student or organizational representative appears in response to the notice of charges, the hearing officer shall review the facts of the alleged violations and of the names of witnesses then known. The student or organizational representative shall be advised that no response is required and that any statement made shall become a part of the official evidence of the case. The accused may advise the hearing officer of any witnesses or evidence supporting the student’s position. The hearing officer shall also advise the accused that if any new evidence is discovered during an investigation subsequent to the hearing, it will be shared with the accused. The accused will have an opportunity to respond to the evidence. If the hearing officer determines that the alleged violation is not supported by the evidence, the charges shall be dismissed and the accused student so notified. If the hearing officer is satisfied that the violation occurred as alleged, but that no disciplinary sanction should be imposed, the hearing officer may levy administrative action and notify the student accordingly. If the hearing officer is satisfied that the violation occurred as alleged and that a disciplinary penalty should be imposed, the hearing officer shall so notify the accused student or organizational representative, describing the sanction which the hearing officer will impose. 6. The accused may accept the decision and sanction(s) proposed by the hearing officer and waive his or her right to any further hearing or appeal. Or, the accused may reject the decision of the hearing officer and request an appeal hearing . An accused student or organization appealing the decision of the hearing officer should file a notice of appeal to the Division of Student Affairs. Such an appeal must be emailed to StudentAffairs@hssu.edu within 5 business days from the date of the letter containing the findings in the case. The appeal must include the specific grounds for the appeal and must be personally signed by the student or an organization officer. The notice of appeal shall contain, at a minimum, a statement of grounds for appeal and a summary statement of the facts supporting such grounds. 1. Procedural Error – The decision of the Rights and Responsibilities Committee was reached through substantial procedural errors which denied the student a fair hearing. Note: The procedural error must have been grave enough to deny the student a fair hearing. 2. Arbitrary or Capricious Conclusion – The decision of the Rights and Responsibilities Committee was not supported by evidence or the decision was inconsistent with the information presented. Note: This does not imply a disagreement with the decision of the committee only, but proof that the weight of the evidence is against the decision made by the committee. 3. Disproportionate Sanction – The decision of the Rights and Responsibilities Committee was greatly disproportionate to the offense. New evidence, not available in a previous hearing, which could exonerate the accused student. The accused student may have an advisor of the student’s choice present during the hearing for student organizations. Generally, the advisor shall be present for consultation purposes only and shall not be permitted to speak on the student’s behalf. However, an advisor may be permitted to address the committee at the discretion of the hearing officer. If an accused student elects to be represented by a third party advisor, the accused must provide a signed letter designating that person as his or her official representative before the University can communicate otherwise privileged information to the advisor. Rules of common courtesy and decency shall be observed. The questions of any person appearing before the hearing committee by an individual participating in a hearing shall not be in a badgering, unduly repetitious or irrelevant manner. It shall be at the discretion of the Rights and Responsibilities Chair Pearson to curtail a participant’s further opportunity for questioning if such behavior occurs. Any person may be dismissed from the hearing who interferes with or obstructs the hearing or who fails to abide by the rulings of the hearing officer. The hearing officer shall have the right to call additional witnesses, require the presentation of additional evidence and require additional investigation. Witnesses must be submitted 48 hours in advance and approved. A taped or stenographic record of a hearing shall be maintained. The notice, exhibits, and taped or stenographic records shall become the record of the case and shall be filed in the Office of Public Safety. This hearing record shall be retained for a period of no more than five years. The President/designee shall examine the record of the case and any additional evidence provided. President/designee may interview witnesses to the case or engage in whatever investigation he or she deems appropriate to fully hear the student’s appeal. The President/designee shall consider the recommendations of the hearing committee and may accept or reverse the finding by reducing or increasing the sanctions imposed by the hearing officer. Within seven working days after receiving the recommendation of the hearing committee, the President/designee will advise the accused student of his or her recommendation concerning the final disposition of the case. Every student enrolled at Harris-Stowe State University is obligated at all times to assume responsibility for his or her actions, to respect constituted authority, to be truthful, to respect the rights of others and to respect private and public property. This code of obligations, together with specific rules and regulations, always applies to conduct occurring on property owned or controlled by the University and at University-sanctioned events. On-campus misconduct that involves possible violations of federal, state or local laws may result in prosecution by appropriate civil authority in addition to University disciplinary action. Off-campus acts constituting violation of law, when that conduct has substantially interfered with the University’s functions or mission, prompts University disciplinary action. No special consideration will be requested by the University when a student has been apprehended elsewhere for a violation of public law because of his or her status as a student. When students are prosecuted for violations of public laws, institutional authority will not be used to merely duplicate the functions of those laws and may include dismissal from the University. The policies and procedures contained herein are established under the authority granted by law to the Board of Regents to establish policies and procedures for the governance and management of Harris-Stowe State University. The overall responsibility for the enforcement of these regulations rests with the President of Harris-Stowe State University or his designees. All alleged violations are adjudicated in accordance with the established procedures of the judicial system. Every student is expected to observe the principles underlying University policies for student life. In order to maximize the freedom and enjoyment of University life for all persons, the personal conduct of each student is expected to reflect a high consideration for the rights of others. 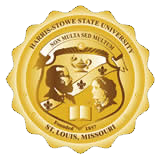 As citizens and members of the University community, students enrolled at Harris-Stowe State University have specific rights. Only authorized security personnel (police officers and public safety officers) are permitted to carry and use firearms and ammunition. "The possession, sale, storage or use of firearms, knives, ammunition and other dangerous weapons is prohibited on all University property. Employees are strictly prohibited from carrying concealed weapons on University property and may not store weapons or ammunition in vehicles located in University parking facilities. All such items are subject to confiscation, disciplinary action, as well as criminal sanctions, will be applied in all cases of violation of these security regulations." Official University student parking permits are not free and may be obtained during registration. Registration may be done online 24/7 at https://www.permitsales.net/HSSU or in person via paper form from the Office of Public Safety during normal business hours. All vehicles parked on University property must have the official University parking permit prominently displayed on the lower-left corner of the rear windshield. Failure to register a vehicle constitutes a violation of the University’s Parking Regulations. A brochure and all other parking information is available on the Office of Public Safety web-page under “Parking Registration” and “Parking Policy & Procedure.” Harris-Stowe State University does not assume any responsibility for damage or theft to cars while using the parking facilities of the University. Vehicles found in violation of the University’s Parking Policy and Procedure may be subject to fines and/or tows. Visitors of the university must request a visitor parking pass via email at Parking@hssu.edu. Questions concerning the parking rules and regulations should be directed to the Office of Public Safety, Henry Givens Administration Building Room 019 (314)340-3333, Parking Services line (314)340-3602, or by email at Parking@hssu.edu. Harris-Stowe State University students or staff having problems starting their cars because of deficient batteries may contact the switchboard operator on the first floor of HGA for possible assistance. The University reserves the right to protect the safety and welfare of unattended children. Children are not to be left unattended in the halls, offices, annex, dining hall or library. Students are not permitted to bring children to class. The University will institute appropriate action if children are left unattended. All information to be posted in the University must first go through the Accuracy Check process. For more information about the Accuracy Check process, contact the Office of University Relations in HGA Room 110 or call (314)340-5754. After going through the Accuracy Check process, the information must be stamped by Student Activities (GRH Room 110A). Information is to be posted only on bulletin boards. Any notices that are placed on walls, doors or bulletin boards which are unstamped by Student Activities will be taken down and discarded. Due to safety concerns following reported hoverboard fires, Harris-Stowe State University prohibits the use, possession, or storage of hoverboards and similar devices containing lithium ion batteries on campus. For reasons of safety, health and sanitation, pets of any type are not allowed on or in any University owned or leased building under any circumstances. This policy includes all University residence units (halls, houses, apartments). Launching, landing, or operating UAS, including drones, is prohibited on and above Harris-Stowe’s campus without written approval from and supervision by Harris-Stowe faculty or staff. UAS use may only be approved for educational or research purposes or for use by a student employee for a specified purpose related to their employment. The individual operating the UAS must be able to operate the UAS in a safe and responsible manner. Approved use must comply with all relevant federal, state, and local laws governing UAS and any other relevant university policies. Note: Individuals found in violation of this policy may face disciplinary and/or legal action. It is Harris-Stowe State University’s policy to protect the rights, safety and welfare of the students, faculty, staff and visitors. Persons are expected to conduct themselves properly, respecting themselves, others and the property of others. It is extremely important to note that each person of the Harris-Stowe State University community has the right to be free from acts of violence and threats of violence. Students, faculty, staff and visitors are encouraged to report all suspicious persons and activities, crimes witnessed or crimes against themselves occurring on campus and in the surrounding communities to Campus Public Safety. Students are encouraged to report crimes directly to Campus Public Safety. However, they may also report crimes directly to the director of Student Activities, who will then report the information received to Campus Public Safety. Campus personnel are informed of this procedure through new employee/student orientation. Written reports are made and followed up by the appropriate personnel in Campus Public Safety. All criminal incidents and emergencies must be reported immediately by calling Campus Public Safety through the switchboard at (314)340-3366, or 911 for the response of the St. Louis Metropolitan Police Department. To limit exposure to tobacco smoke, Harris-Stowe State University has established a NO SMOKING POLICY in all campus interior spaces and all exterior areas including vehicles parked on campus and all University-owned or leased vehicles. It is the responsibility of all administrators, faculty, staff and students to enforce the University’s smoking policy. If an individual has a particular problem, that individual may request the help of Campus Public Safety in enforcing the policy. Electronic cigarettes or e-cigarettes will be treated the same as traditional cigarettes in regards to the campus smoking policy. As would be expected, the first and highest priority in the use of the University plant and facilities is the fulfillment of the institutional mission specified by the state legislature. The central focus of this mission is the education and fullest possible development of students. Within the limitations imposed by such a building usage priority, the University makes available many of its facilities to student organizations, as well as outside agencies. A usage fee may be required in such cases.